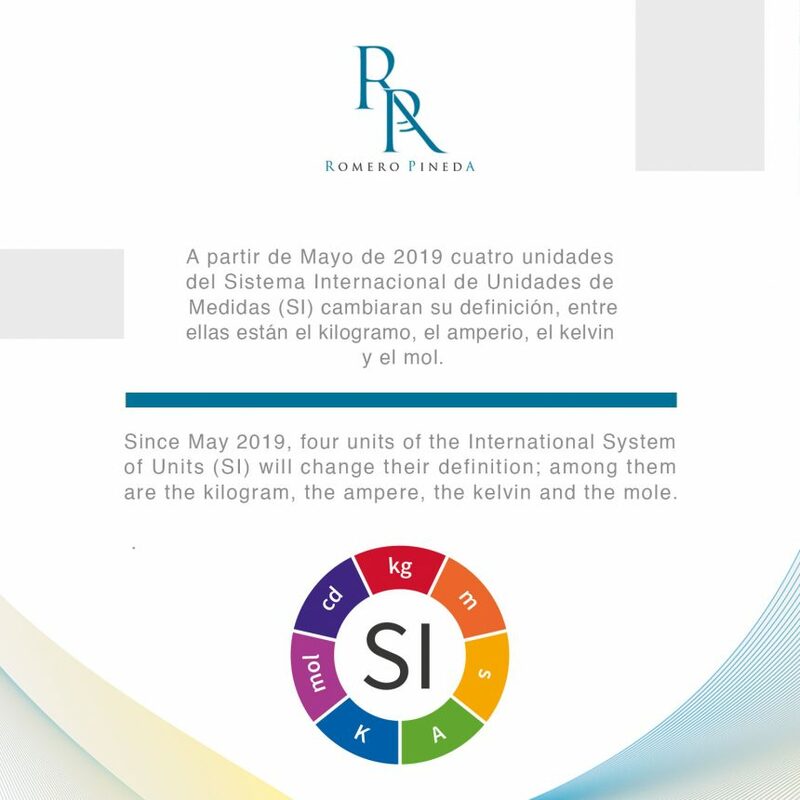 As established by the General Conference on Weights and Measures since May 2019, four units of the International System of Units (SI) will change their definition; among them are the kilogram, the ampere, the kelvin and the mole. Based on this change, the Salvadoran Technical Regulatory Agency has placed to public consultation the Salvadoran Technical Regulation RTS 01.02.01: 18 “Metrology. International System of Units “so that anyone interested can submit comments before February 18, 2019. For additional information, please feel free to contact Ms. Pamela Giraldo and/or Ms. Virginia Vilanova, in Romero Pineda Regulatory Affairs Unit at (503) 2505-5555 or email pamela@romeropineda.com and virginia@romeropineda.com. We will be pleased to assist you.